The ideal balance of vision and versatility, at any distance. 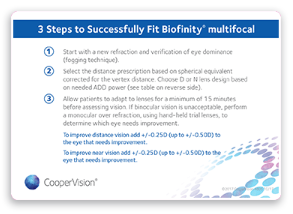 By merging Aquaform® Technology and Balanced Progressive® Technology, Biofinity® multifocal delivers a well-fitting lens and increased visual precision to your presbyopic patients. 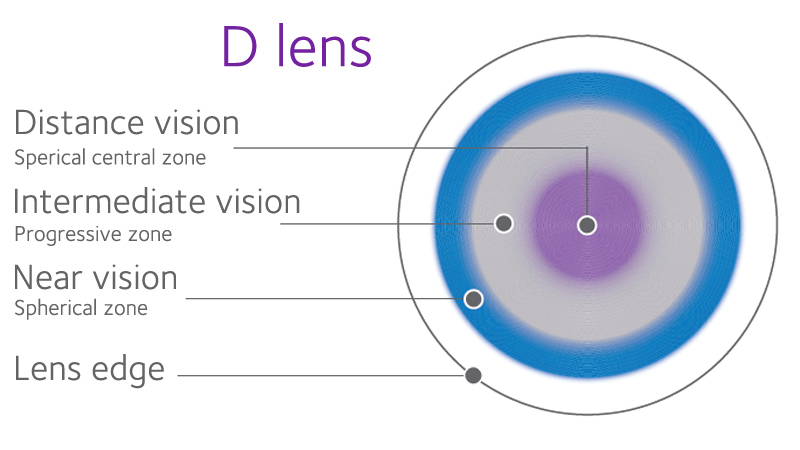 And because we understand that every eye needs a special lens, we’ve developed a streamlined fitting approach. 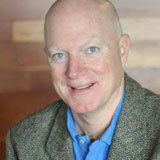 Securing the right fit with a clear field of view, Biofinity multifocal. 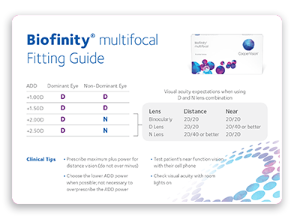 All day, every day, Biofinity multifocal conforms to the diversity of your patients’ needs to optimally correct their presbyopia, giving a better option for their lifestyle than reading glasses or traditional bifocal contact lenses. 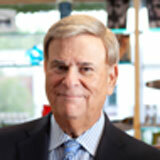 Biofinity multifocal maintains hydration and offers the correct fit for each eye. Aquaform Technology promotes an optimum balance of breathability, wettability and flexibility to increase patient satisfaction. The hydrogen bond structure maximizes water retention, and our unique silicone macromer enables optimum balance. 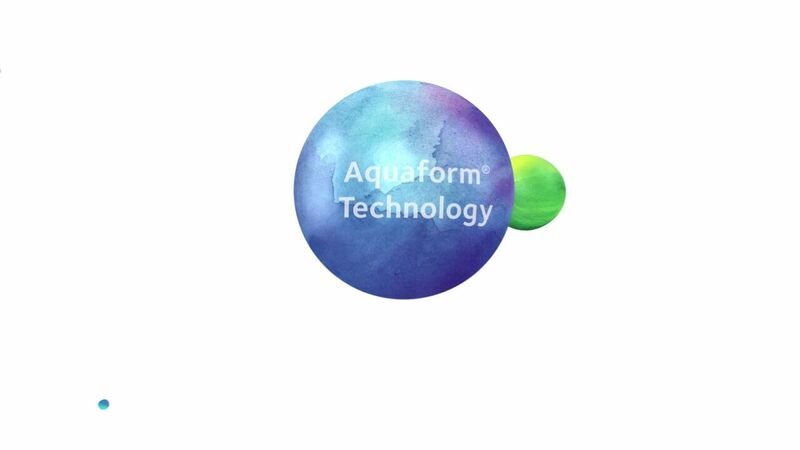 Discover how Aquaform Technology delivers both comfort and breathability. Balanced Progressive Technology utilizes two different optical designs (D and N) to maximize the processing power of the visual cortex to enhance vision. Lens zones are optimized for each sphere and ADD power. And just like fingerprints, no eye is the same as another, so we incorporate individual optical designs that produce better binocular vision no matter if your patient is viewing something near, intermediate or far. Our streamlined fitting approach and unique technology allows you to fit more patients with ease and flexibility, all while giving them excellent vision and comfort. 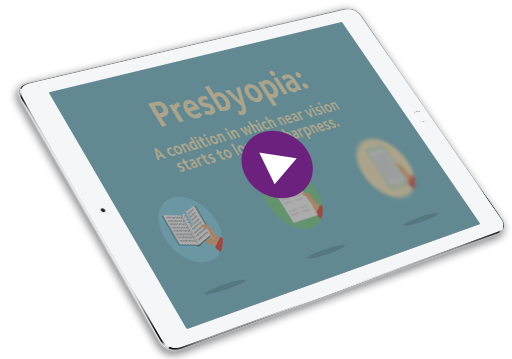 Sign up today to receive an instant download of a multifocal fitting guide and a video that helps you explain presbyopia to your patients! 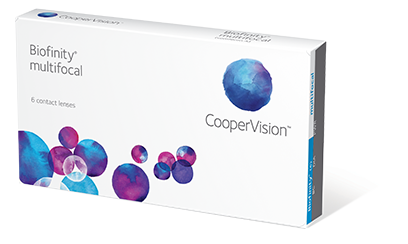 Prescribe the contact lenses designed to counteract the effects of presbyopia. Clinical evaluation of the Biofinity® multifocal compared to the Alcon AIR OPTIX® Aqua multifocal lenses (2010); results on file. 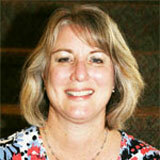 After two weeks of wear, 69% of patients preferred Biofinity® multifocal over Proclear® multifocal. (37 vs 17 patients. Statistically significant. P(T<=t) two tail 0.01 Chi Square). Biofinity® multifocal lenses allow presbyopia patients to achieve 20/20 (or 6/6) high-contrast distance and near visual acuity.